GM's LS engines are the hottest thing to hit the scene since Chevy debuted the first smallblock back in 1955. 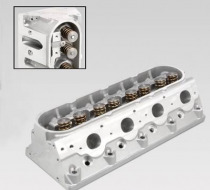 These fully CNC ported 215cc heads are specifically designed for 5.7L LS1 engines. They are available with hydraulic roller or mechancal roller valve-train setups, and 6 bolt casting options for LSX blocks. Should you need a custom assembly not included here, give us a call! 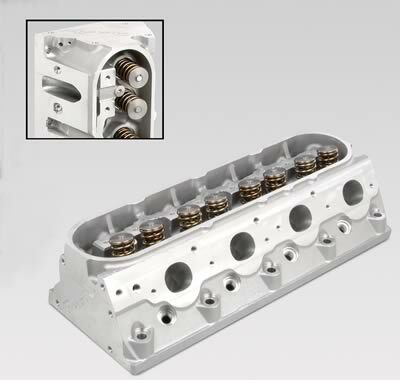 Exhaust Port Dimensions: -- 1.460" x 1.6700"
Exhaust Valve Diameter: -- 1.575"
Minimum Bore Diameter: -- 3.900"
Valve Covers: -- OE bolt pattern,raised 0.200"
Call for custom mill spec combustion chamber prices.